Fans of the author Haruki Murakami crave his books for reasons that can be hard for them to articulate or even understand, much in the way that the characters in his novels inexplicably crave old jazz records and meals of plain spaghetti. His plots can be stilted, his dialogue robotic; as the writer Nathaniel Rich pointed out, “no great writer writes as many bad sentences as Murakami does.” And yet, when readers walk into a bookstore and see a freshly printed hardcover copy of one of his U.S. editions, they often find themselves moving toward it as though drawn in by the gravitational force of an obscure astronomical entity. Mostly this is because of Murakami’s writing — at once liminal and mundane, riddled with symbols and mystery. And partly it’s because of the art of Chip Kidd. 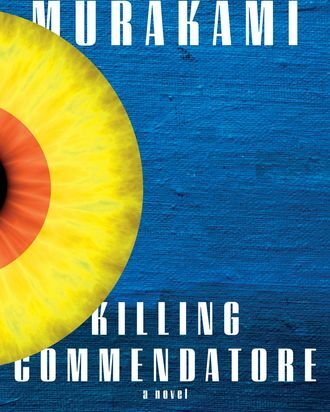 Killing Commendatore, Murakami’s new novel, out in the U.S. on October 9, relays the story of a portrait painter who, after his wife divorces him, moves to a mountaintop, where he meets a mysterious neighbor and discovers a strange painting depicting the titular Commendatore, run through with a blade. In typical Murakami fashion, the painting seems to possess strangely mystical properties. For Kidd’s first draft, which, for logistical reasons, he’d had to mock up before actually reading the text, he produced a cover depicting a blade slicing through a textured red canvas. In an email, Murakami gently prodded Kidd to rethink the design once the English translation of the book was available for him to read. This was the first time in their 25 year partnership that Murakami requested a revision. “It turned out, he was right,” Kidd said. But there’s a hole in the middle of the jacket, right in the center of the sun, and when you take the jacket off, the bright blue gives way to dark night — you see that the sun is both a yellow moon and an all-seeing eye, a reference to many of Murakami’s signature themes: ambiguity and hidden messages and holes that transport you into other, more terrifying universes. Although Kidd, with his swoop of silver hair, his plaid pants, and his black-and-red Darth Vader special-edition Topsiders, is very stylish, he insists his covers don’t have a particular style. Instead, he intuitively pulls images from the text and considers the history of all the other first-edition book jackets that have already been made. 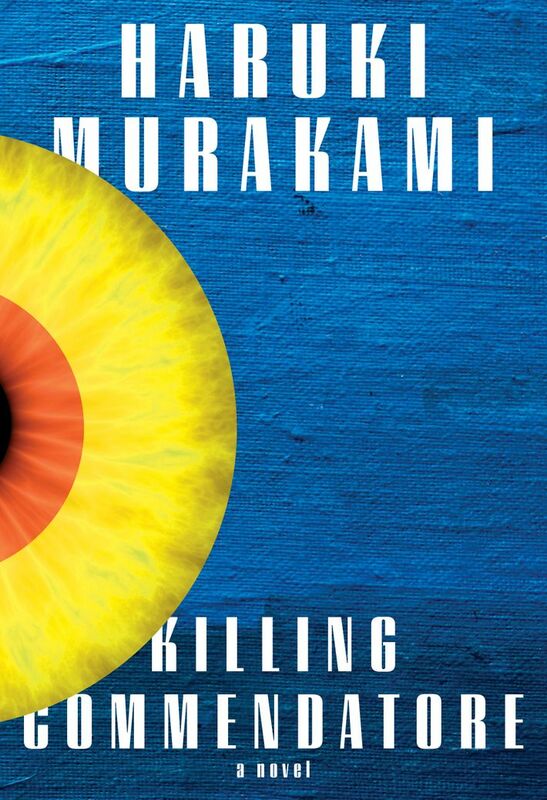 When approaching a new Murakami cover, this can be especially challenging, since the same images crop up again and again. “I did a cat for him before, and I thought, ‘Well, that’s off the table,” Kidd said. As were album covers, which he’d used for South of the Border, West of the Sun. 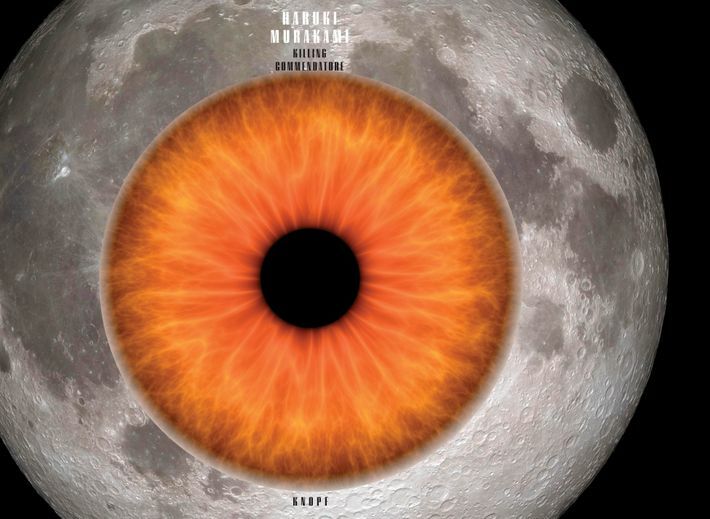 He’d used the moon before, too, but only as an illustration inside the cover of IQ84, which takes place partly in an alternate reality with two moons. 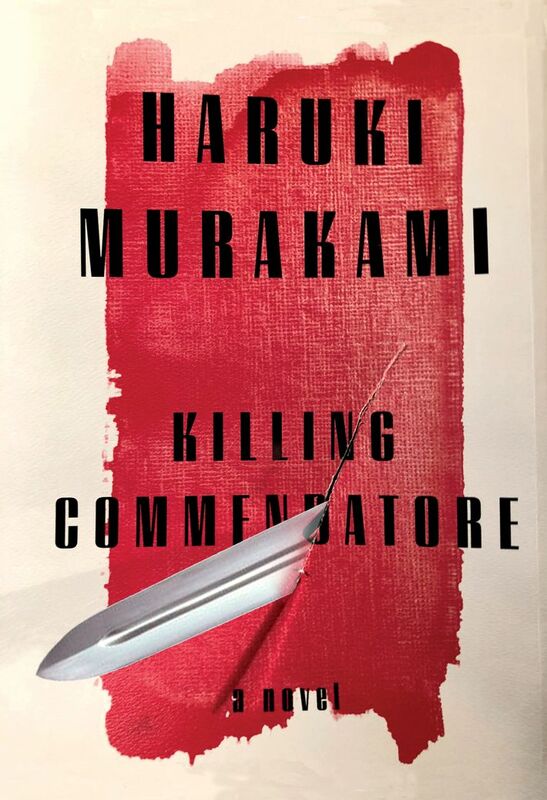 Since the moon featured prominently in Killing Commendatore as well, this time, he decided to use it.